Submitted photos Salt Marsh, Stormy Day is a watercolor on canvas painting and photo by Christine Klinger. 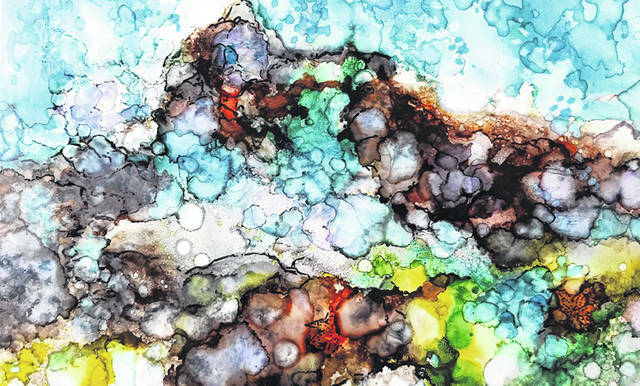 Tidal Pool is an alcohol ink on yupo by Libby Rudolf. Depth is a quilted fiber by Pam Geisel. YELLOW SPRINGS — Village Artisans Gallery is hosting “The Shade of Water: The Importance of Clean Water” – A Members’ Show Thursday, Feb. 14 through Monday, April 1 in their Lobby Gallery during regular gallery hours. An Artists’ Reception will be held 6-9 p.m. Friday, March 15. Both the exhibit and the reception are free and open to the public. Water is life and to remind ourselves of the importance of water, World Water Day is celebrated each year on March 22. Natural resource activists all over the world gather and network to educate, enlighten and celebrate humans’ need for access to clean water as a vital part of our daily lives. On this note, Village Artisans Gallery is challenging members to create artwork of a watery nature — in a variety of media — with the goals of reflecting water’s beauty and reaffirming the importance of protecting our precious resource both locally and globally. Come visit the gallery to see what kind of art “The Shade of Water” will inspire. Village Artisans has been a multi-media cooperative art gallery in Yellow Springs since 1983. It is located at 100 Corry St. Gallery hours are 11 a.m. to 5 p.m. Monday through Thursday; 11 a.m. to 6 p.m. Friday and Saturday and 12-5 p.m. Sunday. For more information stop in, call 937-767-1209, email villageartisans.email@yahoo.com, or visit www.villageartisans.blogspot.com or www.facebook.com/villageartisans. 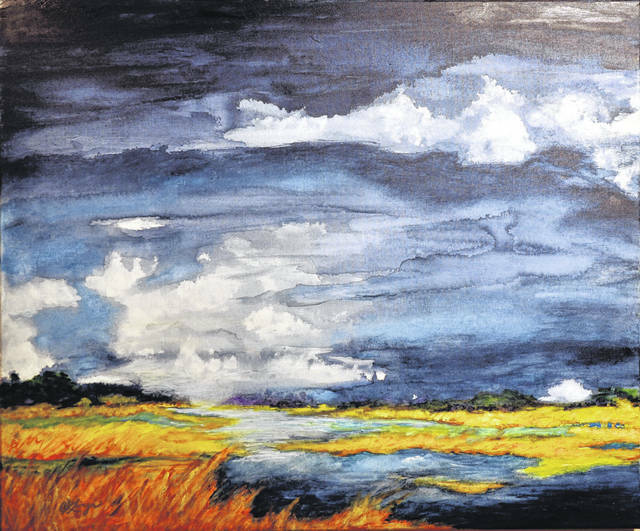 https://www.fairborndailyherald.com/wp-content/uploads/sites/50/2019/01/web1_CKlinger.jpgSubmitted photos Salt Marsh, Stormy Day is a watercolor on canvas painting and photo by Christine Klinger. https://www.fairborndailyherald.com/wp-content/uploads/sites/50/2019/01/web1_LibbyRudolf.jpgTidal Pool is an alcohol ink on yupo by Libby Rudolf. 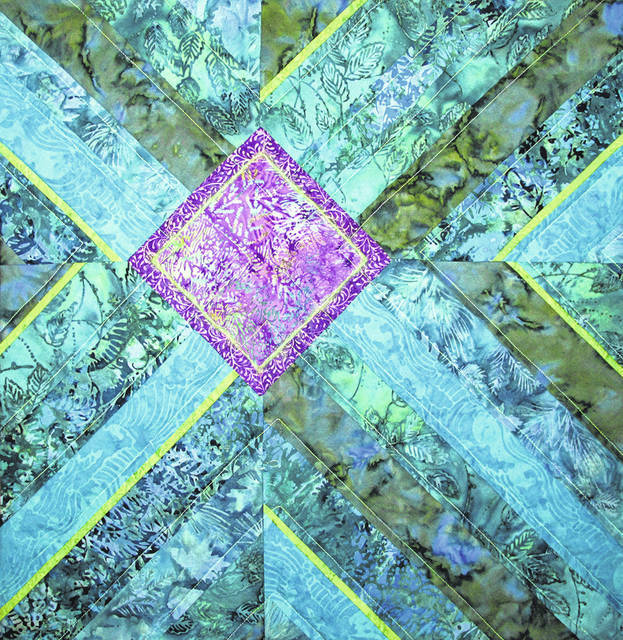 https://www.fairborndailyherald.com/wp-content/uploads/sites/50/2019/01/web1_Geisel.jpgDepth is a quilted fiber by Pam Geisel.